IFA 2014 is the setting for Sony's biggest ever launch of new mobile devices with the Xperia Z3 taking the lead. The firm has also unveiled the Xperia Z3 Compact, Xperia Z3 Tablet Compact, Xperia E3, SmartWatch 3 and SmartBand Talk. It doesn't feel like long ago when we saw the original Xperia Z but we're already on the fourth generation of Sony's flagship device. Sony was able to trim off about 1mm from all of its dimensions as well as 11g off its weight, making it lighter and thinner than the Xperia Z2. 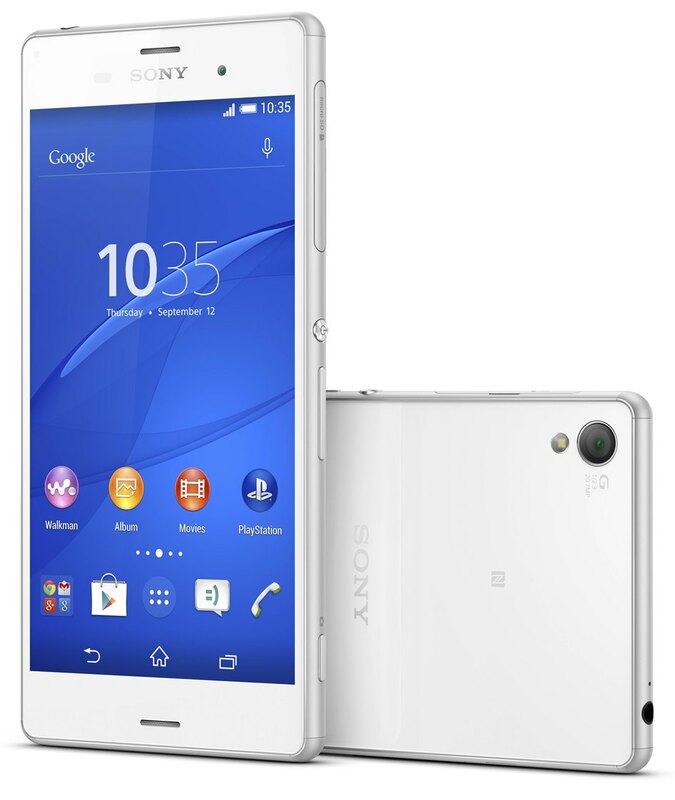 The Sony Xperia Z3 runs on a quad-core 2.5GHz MSM8974AC Snapdragon 801 chip, alongside 3GB of RAM and Adreno 330 graphics. The Sony Xperia Z3’s screen is the same as that found on the Xperia Z2. A 5.2-inch panel with a 1,920 x 1,080 Full HD resolution, it is strong, familiar addition without being ground-breaking. The Omnibalance design has been furthered by the inclusion of a high quality metal frame to complement the glass front and rear panels. Like its predecessors, the Z3 is IP65 and IP68 certified. To lay-folk that means dust resistant and waterproof for 30 minutes in up to 1.5 metres of water. Improved battery management sees the new phone go for two days on a single charge. Software tweaks make the phone’s camera better at shooting in low light. Starting in November, the three members of the new Z3 family will allow you to play your PS4 games directly on their screens so long as they are on the same Wi-Fi network as the big games machine. To make the transition to a smaller screen easier, Sony also recommends using the official DualShock controller, for which it is introducing a new GCM10 Game Control Mount, which is essentially a bit of scaffolding designed to hold up your smartphone or tablet while gaming. Color options include the standard black and white, as well as the impressive silver-green and copper variants. The Xperia Z3 will go on sale this September. The price of this flagship is €649 in Germany, €679 in France, and €699 in Italy and Spain. In the UK, it's £549.